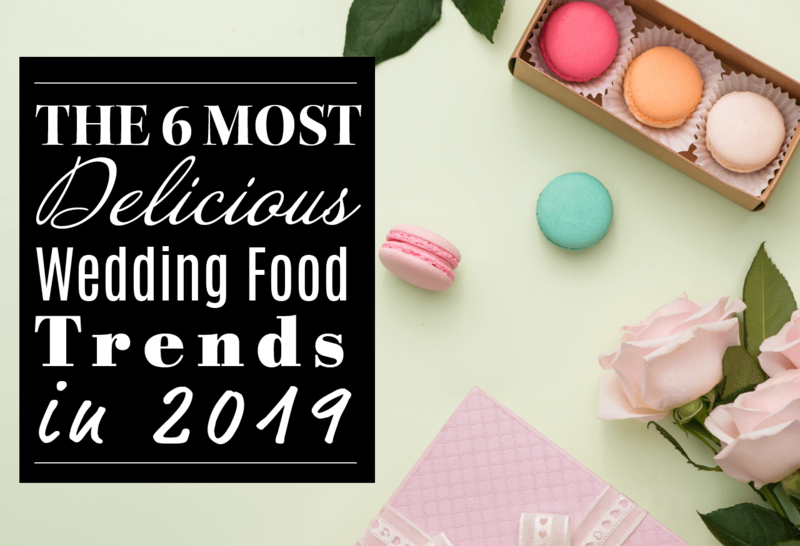 The 6 Most Delicious Wedding Food Trends in 2019 – Our Nuptial Chest | Wedding Cash Gift Registry. Let’s be honest, we’re not exactly living in conventional times right now. And it’s the same when it comes to weddings. I’m sure you’ve seen the YouTube videos of modern couples trading the traditional slow dance for Step-Up style dance offs. But the desire for the unconventional doesn’t stop there. Many couples are now choosing to opt out of the traditional 3-course wedding meal in favour flavours more adventurous. If you’re one of those couples that likes to buck the traditional trend, then this is the article for you. 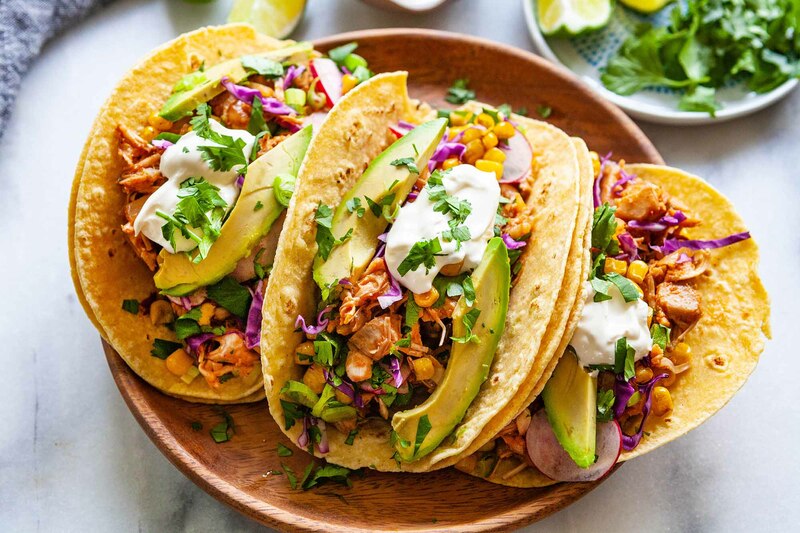 We’ve put together 6 of the most delicious wedding food trends in 2019. To help provide a little unorthodox inspiration for your big day banquet. 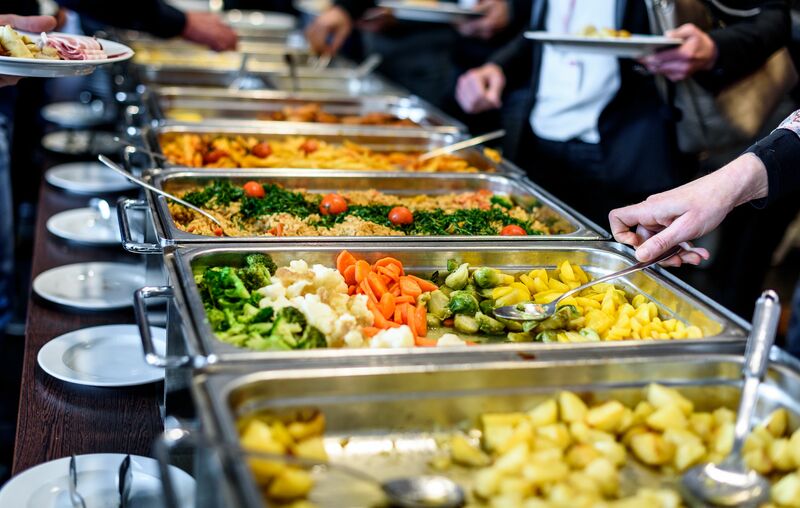 Everybody loves a world buffet, right? And, if we’re being honest, our favourite part (aside from the ridiculous quantity of food we get!) is those tiny, yet delicious, desserts at the end. Well, it turns out that many modern couples are bringing this world-buffet delight to their wedding menus. With some even offering it up in true world-buffet fashion… In the form of a grab & go table with guests able to help themselves! C’mon, it’s bound to go down a treat. In 2019 it’s all about the self-service. And it doesn’t stop with desserts. Many couples are also choosing to add a touch of the ‘dinner-with-the-fam’ vibe to their wedding tables. Instead of having 3 courses of pre-plated food sent to tables, they’re having self-serve bowls and dishes so guests can help themselves. Just like they would at home. It’s less formal, more relaxed, and sure to get the conversation flowing between your guests. If we’re really honest, we’re all a little tired of having prawn-cocktail starters, roasts for the main and a chocolate torte to finish it off (well maybe you can leave the torte in!). So why not do what many couples are doing and ditch traditional food entirely. And bring some world food flavour into the mix instead. This year, mid-week take-away treats like pho, taco’s and even pizza are in. And we’re about it. Now, we know it’s important to stay classy on your wedding day. So if you do plan on serving-up world foods, make sure you get a caterer with a flair for presentation. Pizza Hut style buffet bar just isn’t going to cut it. Hog roasts and buffet tables have always been wedding day staples. But millennial couples are now taking it one step further. 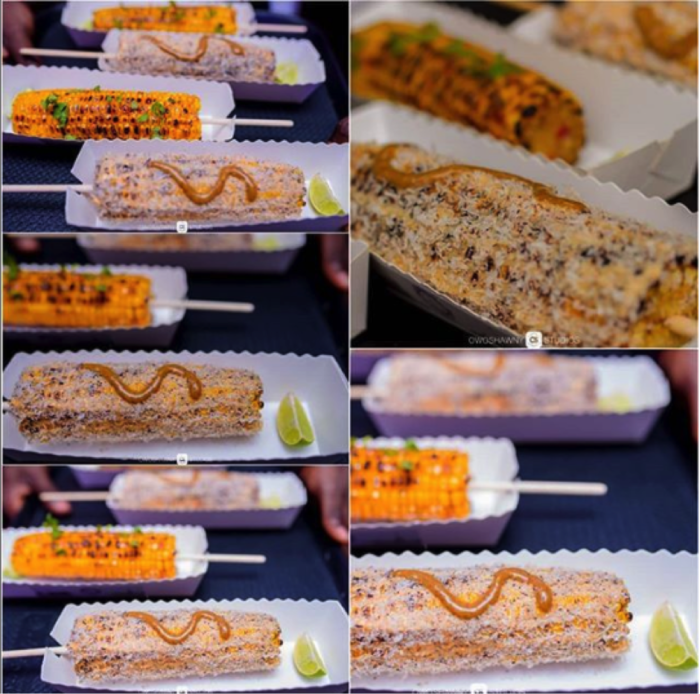 By hiring food stall & food truck vendors to cater their weddings. 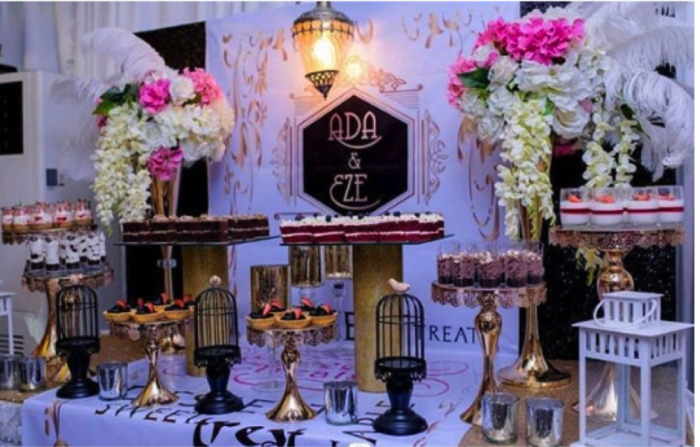 In the past couples have used trucks & stalls to cater to their evening guests. But it’s now becoming more common for couples to ditch the traditional meal altogether. In favour of a stall or truck to take care of the whole day. And, let’s be honest, we’d all rather have a greasy burger and fries than filet mignon. Even if we won’t admit it to anyone! We all love a late-night snack. And it’s nothing new to have them on your big-day. What is new is the type of late-night snack modern couples are serving. It’s out with the boring and typical buffet food and in with your home comforts. Forget about boring sandwiches, sausage rolls and chipolatas. Try serving milk and cookies, your favourite tubs of Ben & Jerry’s or even Churros and dip instead. Or some Tasty Corn . Whatever you reach for when you’re feeling peckish at night, chances are your guests are going to enjoy it too. So do them (and yourself) a favour by serving it after hours. Okay, you’ve got us. This isn’t food, strictly speaking. 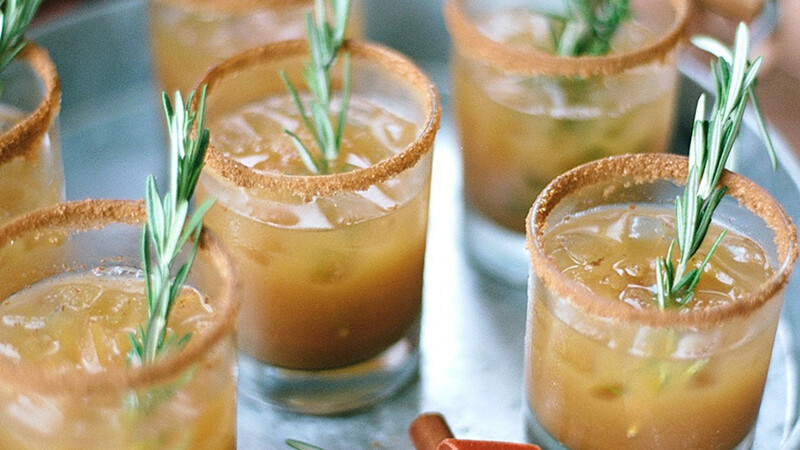 But c’mon, we couldn’t do a wedding menu inspiration list without talking alcohol could we! And, while having a few tipples is as important as ever at weddings, the way in which couples are choosing to have it served is changing. So we had to let you know about it. Modern couples are now choosing to add a touch of personality to their big day. By serving guests their favourite cocktails in place of the traditional post-reception bubbly. Bonus points if you’re going to add a touch of the organic. As many couples are even adding fresh-herbs and edible flowers into the cocktail mix too! And that wraps it up. Be sure to let us know if you’re trying something even more daring at your own wedding. 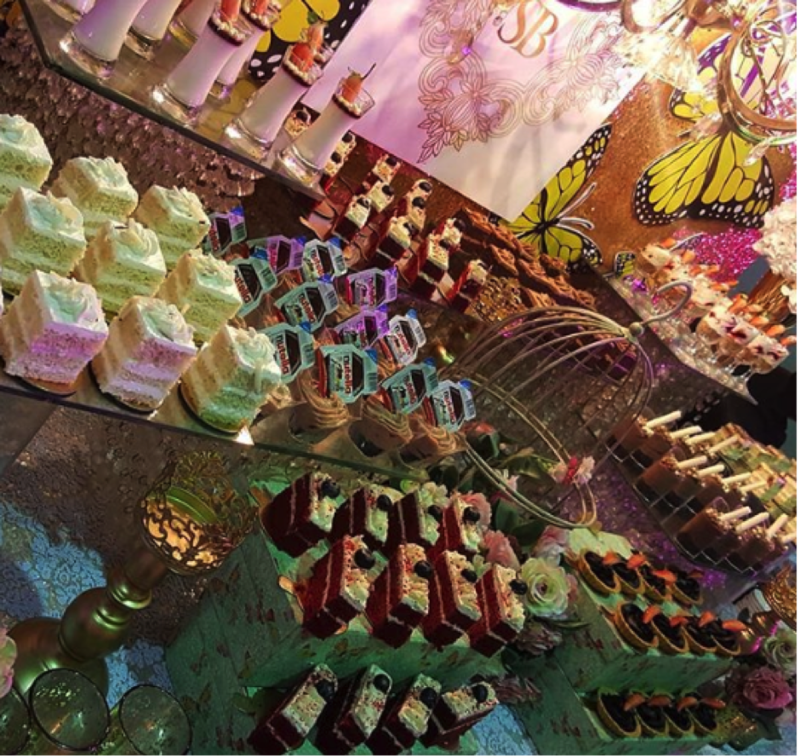 We love to hear about the kooky creations our couples serve on their big days. Lastly, if you haven’t already, make sure to set up your unique personalised gift chest. Perfect for those couples building their honeymoon fund. It’s free to create! THE NUGGET SERIES: Wedding Planning Tips with Wura!